Ilha de Fogo (Portuguese for “fire”) is one of 10 volcanic islands forming the island country of Cape Verde. It lies some 570 kilometres off the coast of Western Africa, and rises nearly 3,000 meters above sea level at its summit, Pico do Fogo. The island was given its name by the Portuguese who colonized Cape Verde in the early 16th Century. The vulcano last erupted in 1995, forcing the residents of the village of Chã Caldeira, who surprisingly inhabit the crater, to temporarily evacuate. 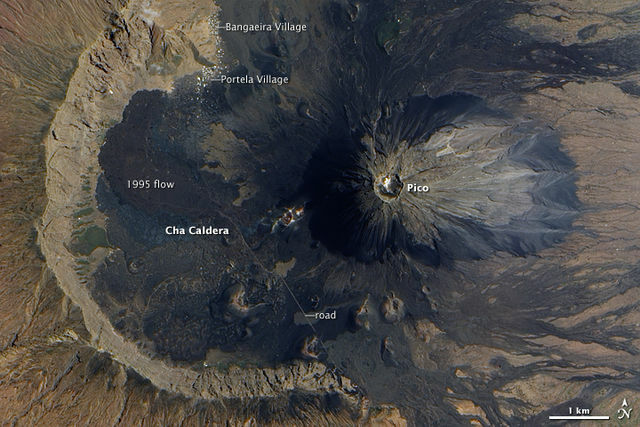 “Fogo, 2009” by NASA Earth Observatory. Image created by Jesse Allen, using EO-1 ALI data provided courtesy of the NASA EO-1 Team. (Link) Licensed under Public domain via Wikimedia Commons. Chã Caldeira is a village at 1800 meters of altitude, in the crater of the volcano, where about 1200 people live on the fringes of legality by occupying state land for agriculture, thus ensuring their survival in one of the poorest areas of Cape Verde. 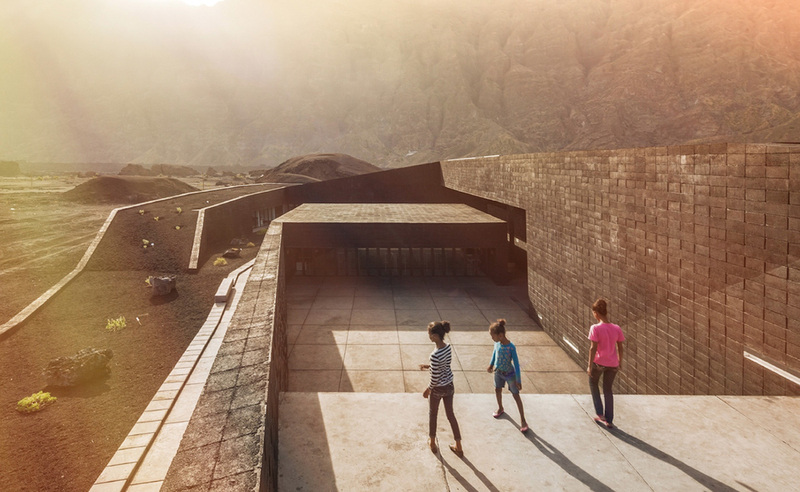 Rising from the volcanic rock landscape inside the crater, the project for Fogo Island Natural Park Headquarters appears with the aim of bringing together the population with the new park management, within the context of a potential World Heritage Site. Accordingly, the Portuguese practice OTO Arquitectos designed and created spaces for cultural and recreational enjoyment for both residents of Chã das Caldeiras and for visitors. Workspaces were also created for employing technicians that will be responsible for the management and treatment of the protected area. 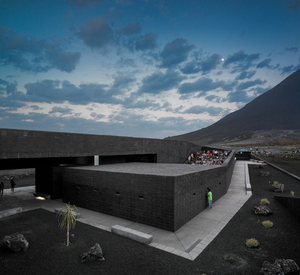 The natural volcanic landscape, is of rare beauty, like a black moonscape. 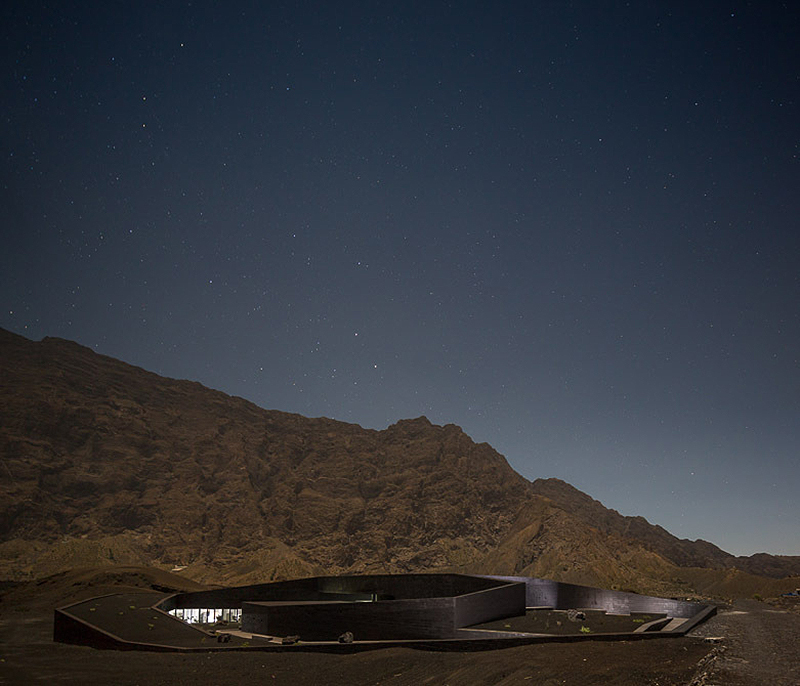 “In this context, the basic idea was to design a building so as to be part of the landscape and the landscape being part of the building, and to have sort of a melting of darker skins. 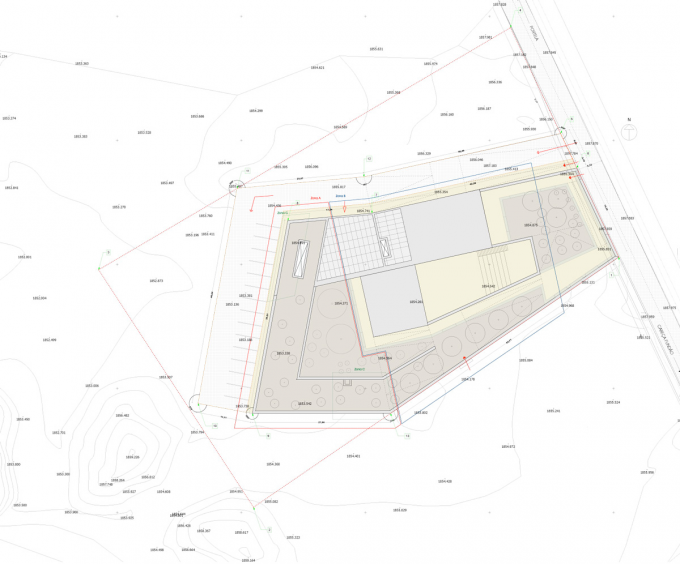 The project subtly integrates the construction into the landscape through the use of local materials and ingenuity. 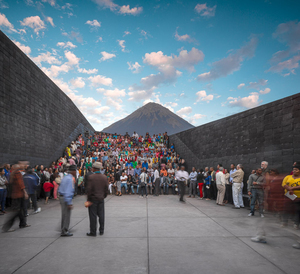 The lack of local resources, instead of being a problem, was turned into an element of the design. 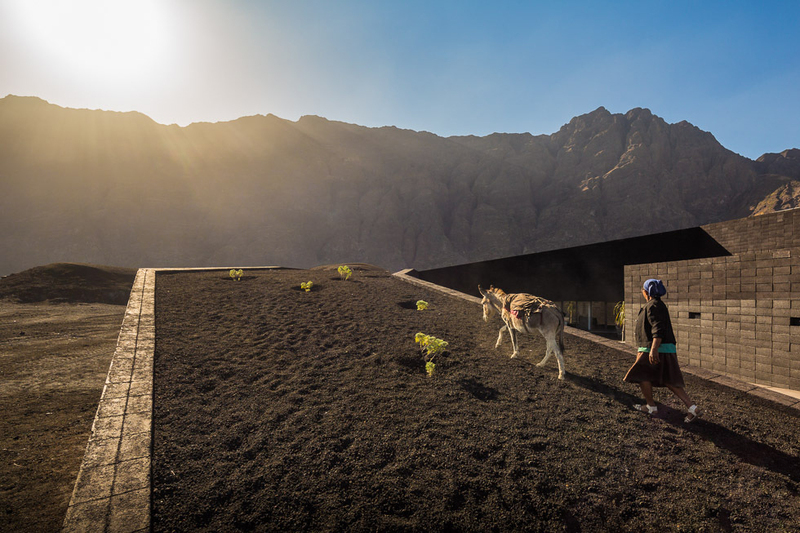 Built of the same volcanic rock which composes the island, the building blends into its landscape. Four legged visitors are also welcome! 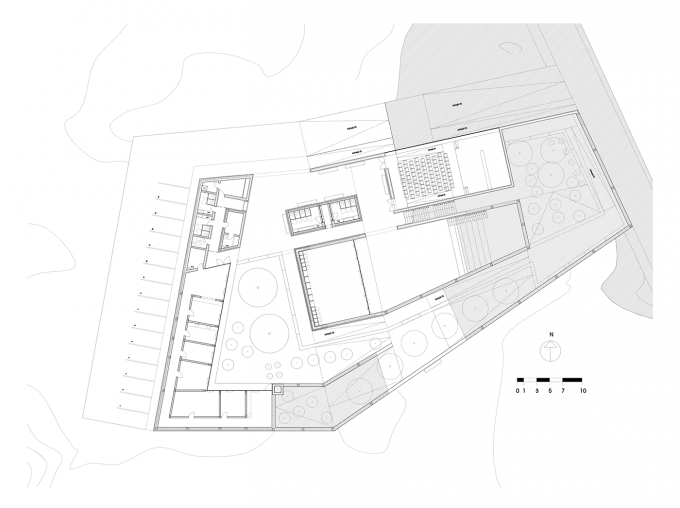 The building is divided into two zones: the Cultural Zone includes a covered auditorium, an open auditorium, library and terrace bar; and the Administrative Zone comprises of meeting rooms, offices, laboratory and technical areas. It is in the Cultural Zone where the building comes alive with the colorfully dressed locals interacting with the structure. 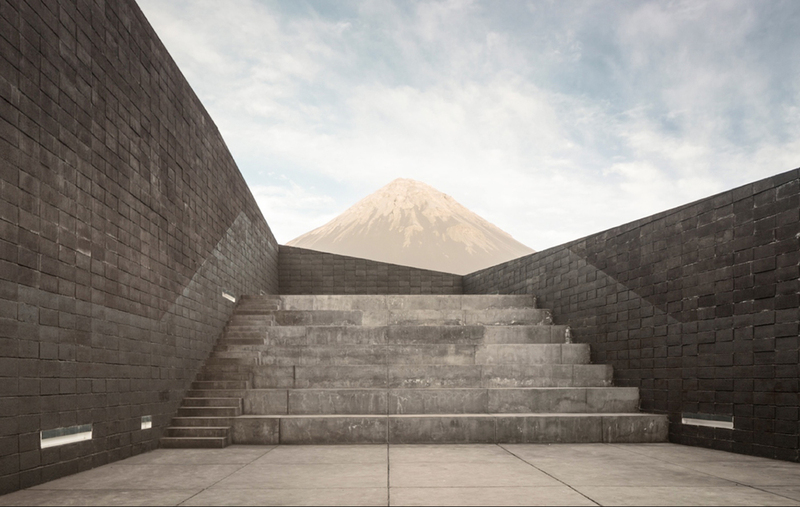 The concept of the architect, the practical need of the government, and a respect and praise for the landscape and its inhabitants all contribute to a truly functional and beautifully minimal building. Project Team – André Castro Santos, Miguel Ribeiro de Carvalho, Nuno Teixeira Martins, Ricardo Barbosa Vicente. Client – Ministry of Agriculture.